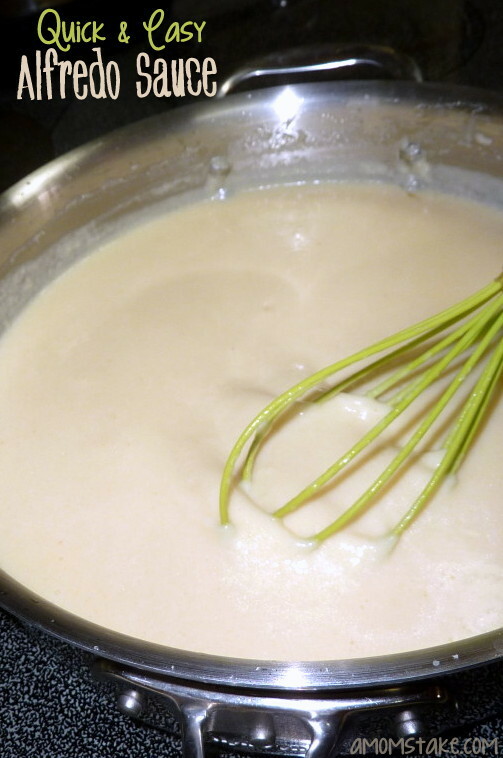 After you try this quick and easy alfredo sauce recipe, you’ll never want to go back to jarred sauce! Let me show you just how easy it is. I cut my stick of butter into pads just so it melts more evenly and quickly. I then stir in the garlic. Once it starts to cook the garlic, I drop in the chicken bouillon cube and shake of cayenne pepper. After you add the 1 1/2 cups milk you need to let it come back up to a boil. You then add the grated Parmesan cheese. Stir it well, this all goes really quick, so I have everything measured and waiting to go in from the start. You then stir in your cornstarch mixture and let it cook until it is nice and thick. If you look closely at the picture above you can see how the sauce looks when you stir it. This is the perfect thickness. Remove from heat and add to any pasta or meat and veggies you want to serve it with. Usually only takes about 10 minutes to make start to finish. If you start cooking your pasta, before you start the sauce, they get done right about the same time. This is a quick and easy meal that everyone loves. In large skillet melt butter, then saute chopped garlic, bouillon cube and shake of Cayenne pepper. Add 1½ cups milk. 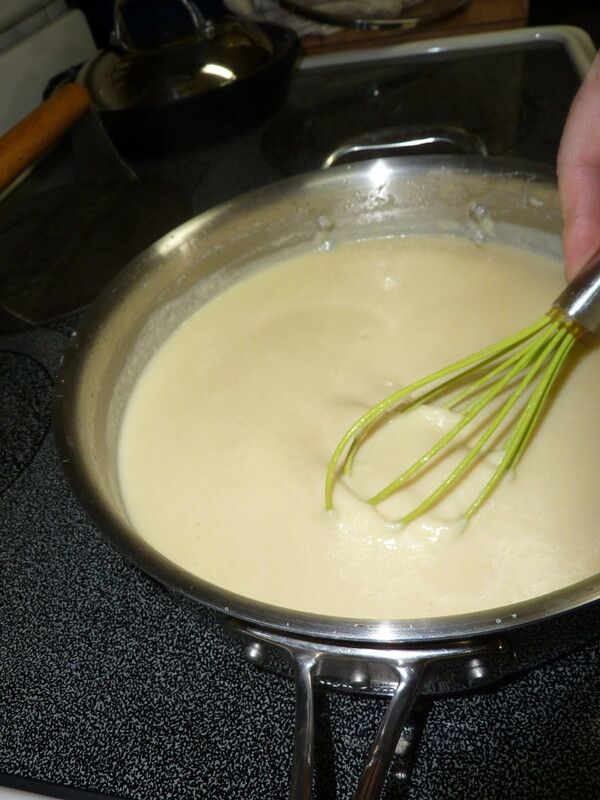 In the other ½ cup milk mix in the tablespoon of cornstarch. 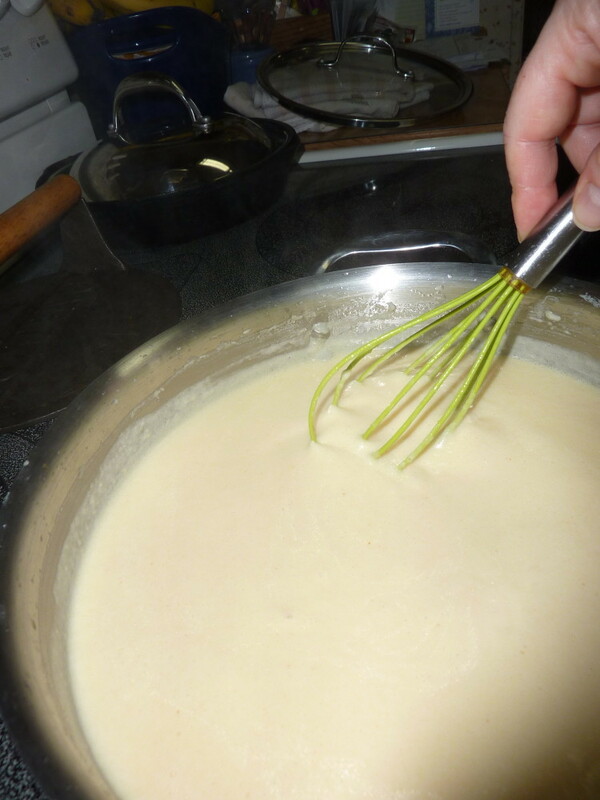 After you add the cheese to the mixture in pan and it starts to bubble, add the milk with cornstarch mixture. Once this is all melted and thickened. It is done and ready to use. Previous Post: « Make Love, Not War with AXE Peace!